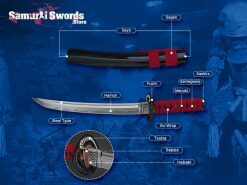 Please include attribution to SamuraiSwords.Store with this graphic. 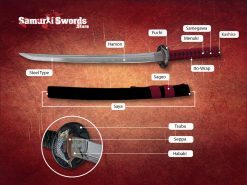 The Samurai swords is among the several kinds of classically made swords from Japan. 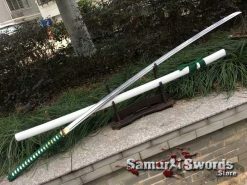 These weapons were produced from as early as the Kofun era but the term generally refers to swords with arched blades that were created after the Heian period. 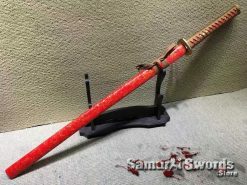 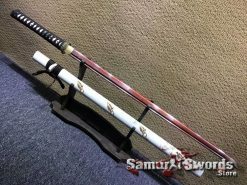 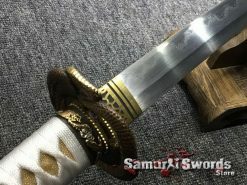 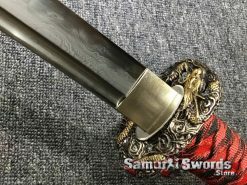 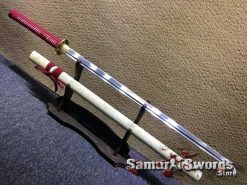 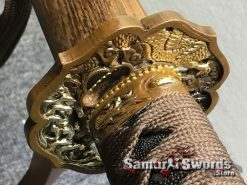 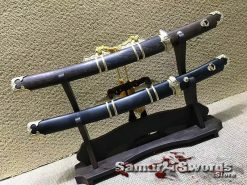 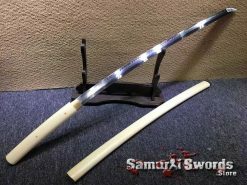 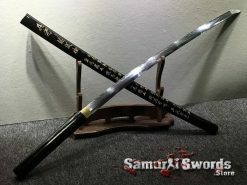 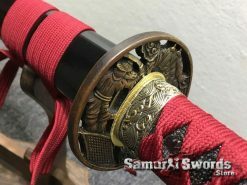 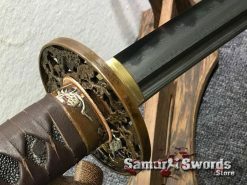 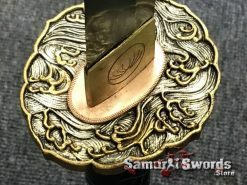 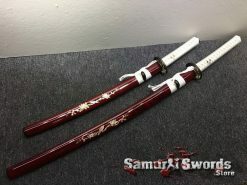 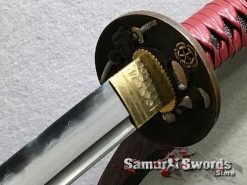 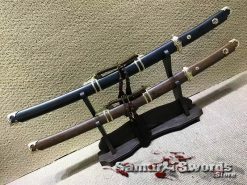 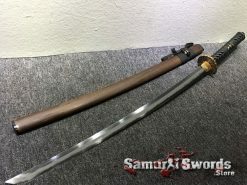 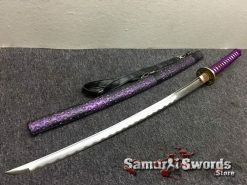 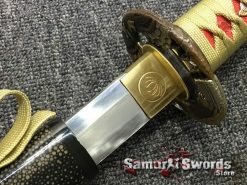 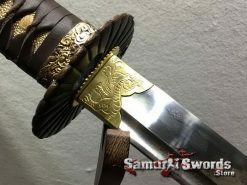 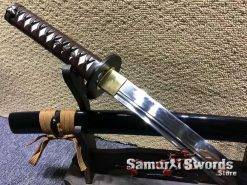 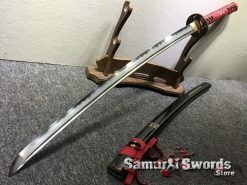 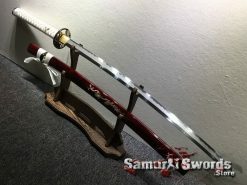 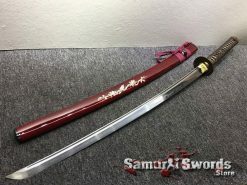 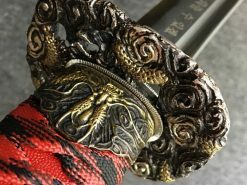 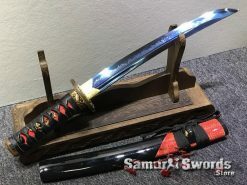 In this day and age, Samurai swords are utilized either for decorative purposes or for martial arts practice, however their rich history and use in battles increased their popularity among sword collectors. 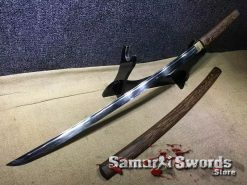 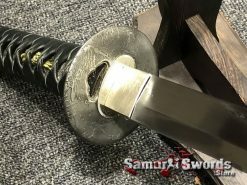 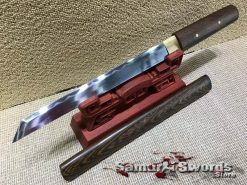 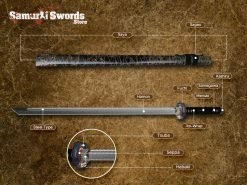 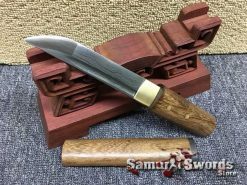 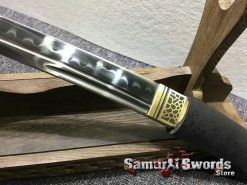 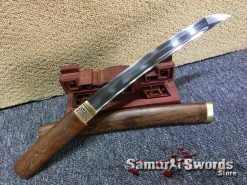 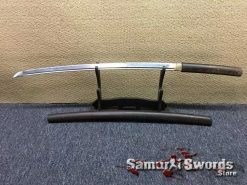 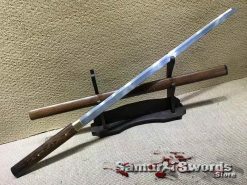 We offer a large number of variations for those swords, all featuring full tang and high carbon steel, along with traditional clay tempering and steel folding. 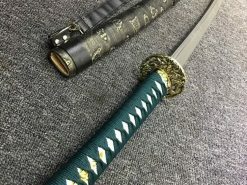 In history, the katana was known as one of the classically made Samurai swords or nihonto that were greatly utilized by the samurai warriors of ancient and feudal Japan. 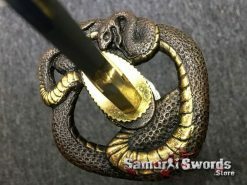 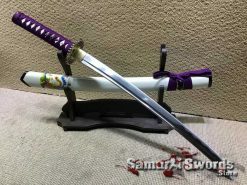 The weapon could be easily distinguished by its distinctly unique appearance which features a single-edged and arched blade that was accompanied by either a squared or circular-shaped guard; it also had a grip that was long enough to accommodate both hands of the wielder. 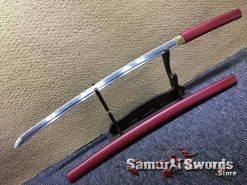 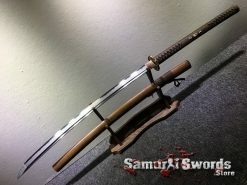 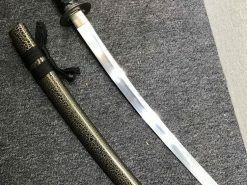 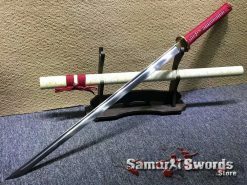 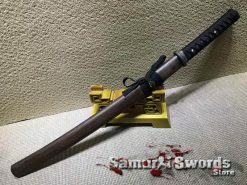 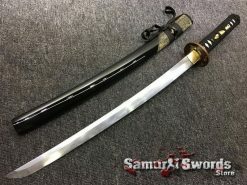 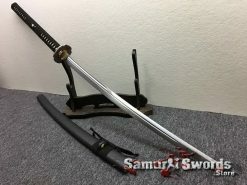 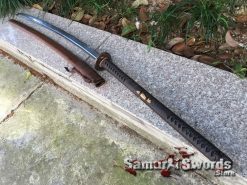 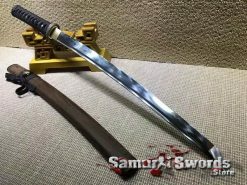 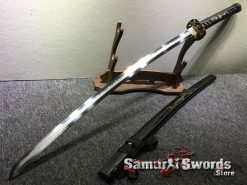 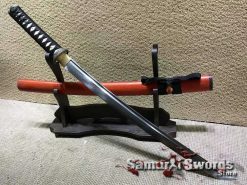 Generally,the katana sword was referred to as the primary weapon carried by the samurai class of feudal Japan; and until today, it is still considered as one of the most favored and popular piece among collectors and martial arts practitioners. 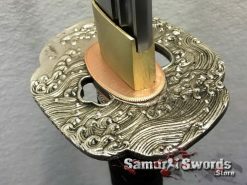 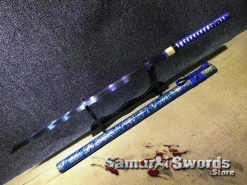 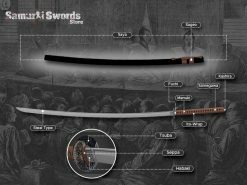 You can build your custom Katana with the use of our Samurai Swords app. 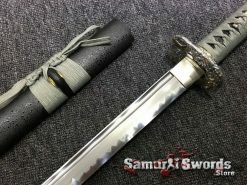 The Wakizashi means side inserted sword and is also among the many traditionally made nihontos that were utilized by the samurai class in the past. 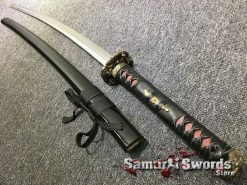 Its blade usually measures between twelve and twenty-four inches and is known to be the companion short sword for the Katana; Longer Wakizashi are referred to as the O-Wakizashi while those that have a closer length to the Tanto are referred to as the Ko-Wakizashi. 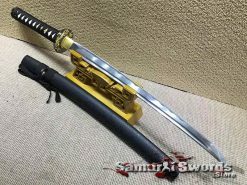 The Wakizashi was carried alongside the katana and person who wore both it was considered as a sign that its wielder was a samurai. 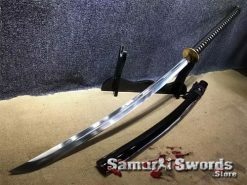 Together, the Wakizashi completes the second pair that is called the Daisho – which literally means big-little and is a term specifically for a pair of traditionally made Samurai swords, the Wakizashi and Katana. 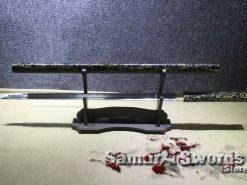 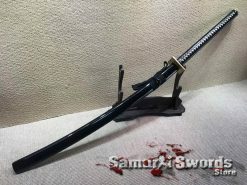 Aside from this being utilized as a backup sword during battle, the Wakizashi was also used in committing the ritualistic form of suicide called seppuku. 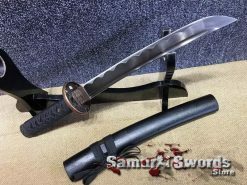 The Tanto traditional martial arts called Tantojutsu, where you can see it was primarily created as a stabbing weapon; although the Tanto could still be effectively utilized for slashing. 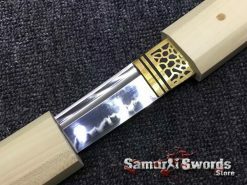 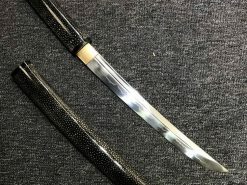 The Nagamaki is a Japanese sword that features a uniquely long Tsuka (Handle); the Nagamaki is also known as a traditional nihonto that features a katana-sized blade but with a much longer handle for more power and reach. 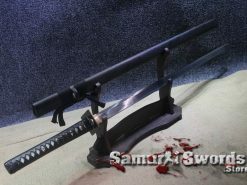 This weapon is an excellent balance between the Katana and the Nodachi. 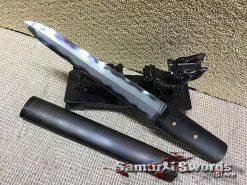 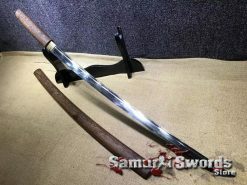 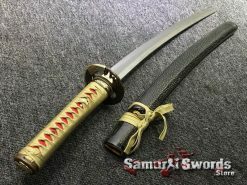 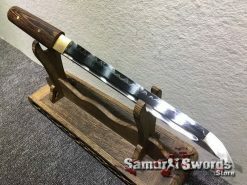 The Nagamaki blade usually measure more than two feet, and usually will be around the same blade length with the Katana. 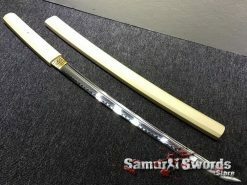 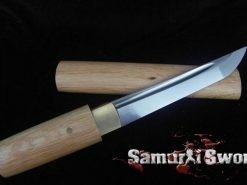 (Our Standard Nagamaki blade measures around 73 cm), The handle could measure around 45-60 cm or even be with equal length to its blade, although our measures around 45 cm (unless specific size is requested). 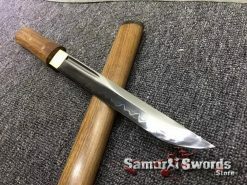 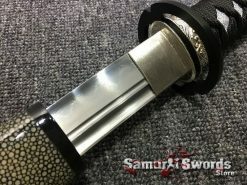 The Nagamaki commonly has a blade that is single-edged. 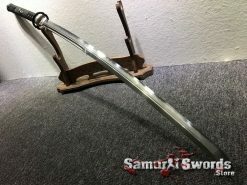 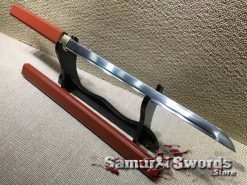 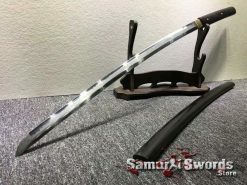 There is no specific size given for the Nodachi sword however, to qualify as a nodachi, the blade’s size should measure over ninety centimeters which is about thirty-six inches. 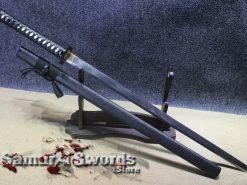 The Nodachi was a great battlefield sword. 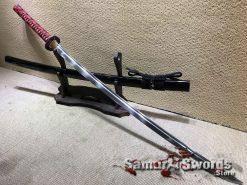 The Nodachi blade was specifically created for battle and it was mostly carried by foot soldiers; and due to its extremely huge size, the Nodachi was often utilized on the battlefield where the wielder can easily execute various moves and attacks compared to tightly-spaced areas. 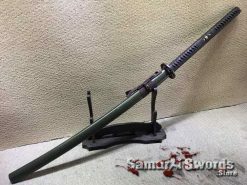 The Nodachi was a considerably effective and powerful weapon but only on the battlefield, it was too long for samurais to actually carry. 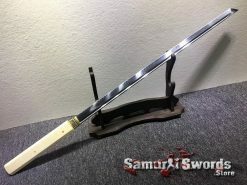 Aside from it being a weapon of war, the Nodachi was also utilized for various ceremonial purposes. The Ninjato was considered as a weapon favored by the shinobi or Ninja of Japan. 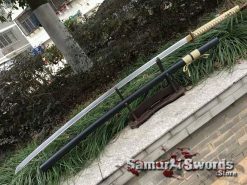 The blade was also referred to as the shinobigatana or the ninjaken; it is claimed that the ninjas forged their own weapons by utilizing slabs of iron or steel. 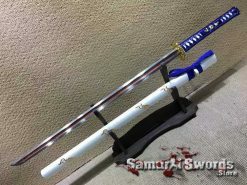 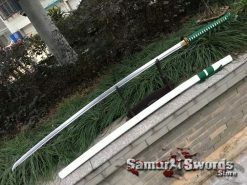 The blade is characterized as being straight unlike that of the katana which is known to be curved. 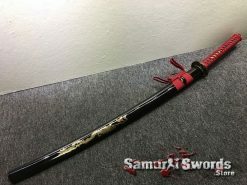 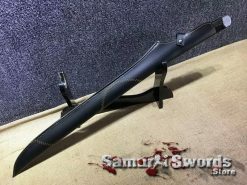 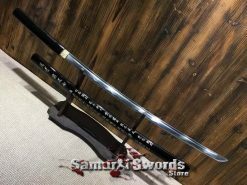 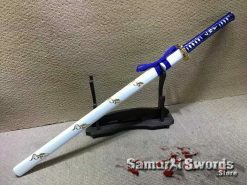 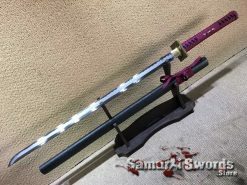 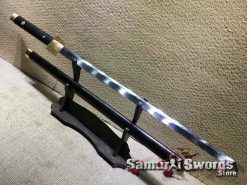 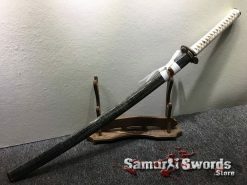 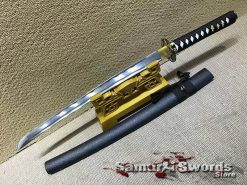 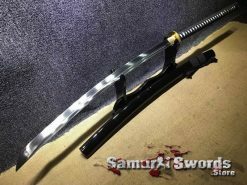 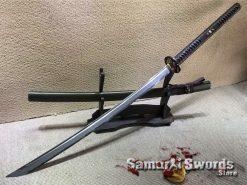 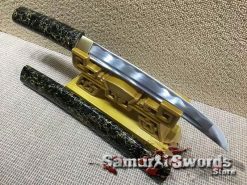 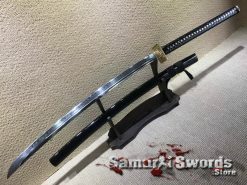 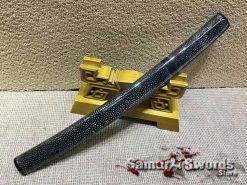 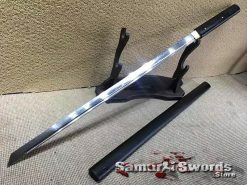 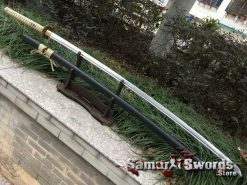 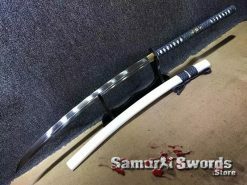 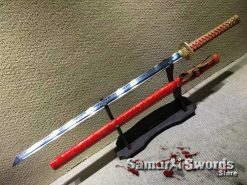 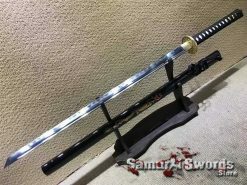 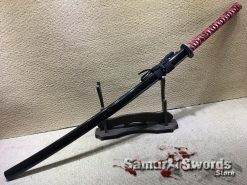 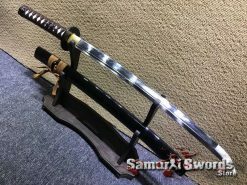 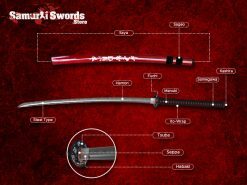 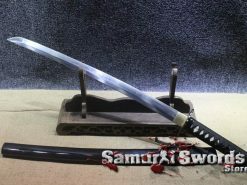 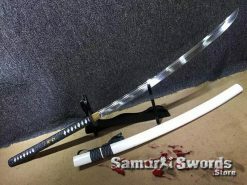 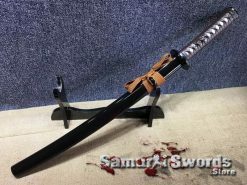 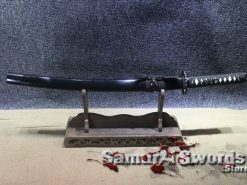 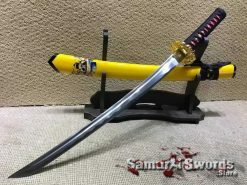 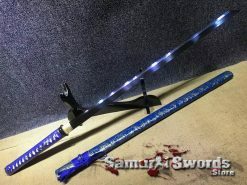 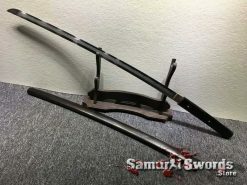 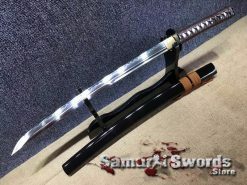 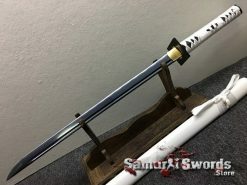 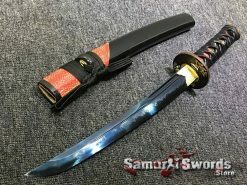 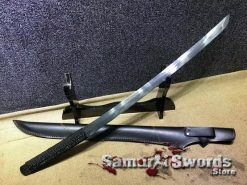 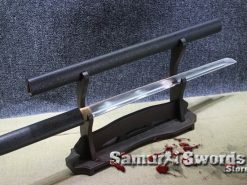 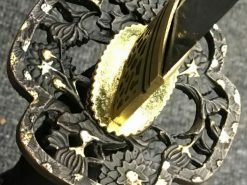 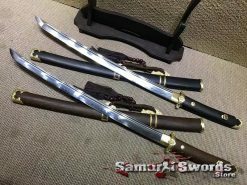 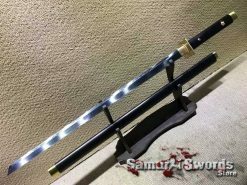 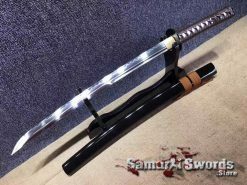 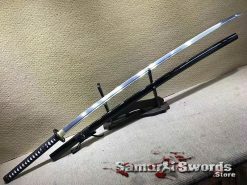 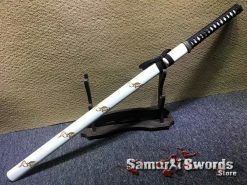 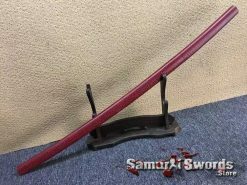 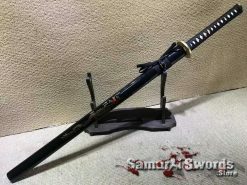 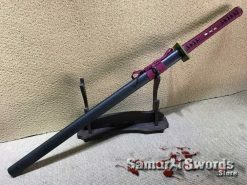 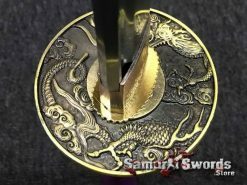 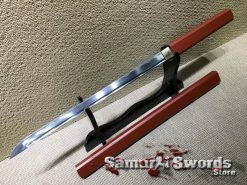 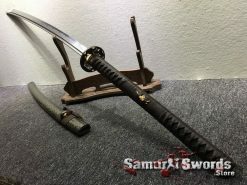 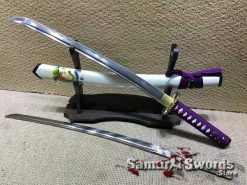 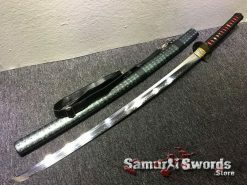 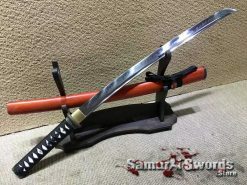 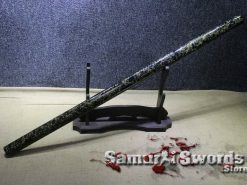 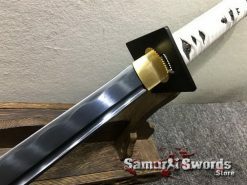 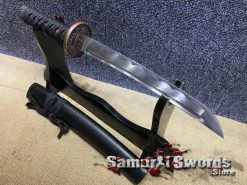 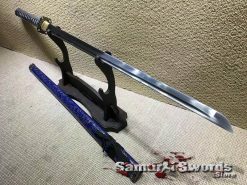 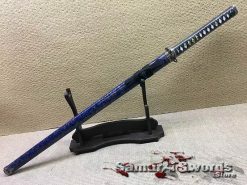 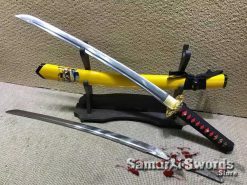 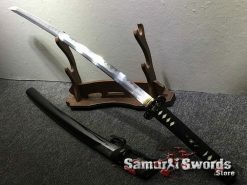 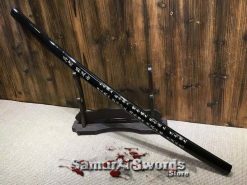 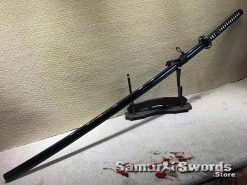 Historically, there are no real evidences for the weapon’s existence, though many believe that the replica designs of the ninjato have been based on the Chokutoor the Wakizashi design. 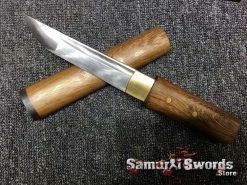 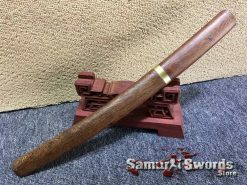 The Shirasaya is a simple wooden nihonto mount that is made up of a Blade, Tsuka and Saya. 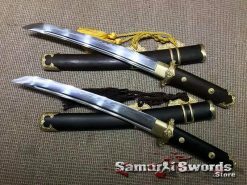 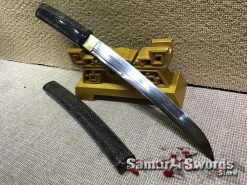 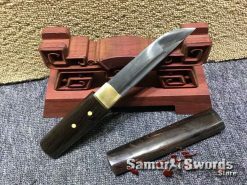 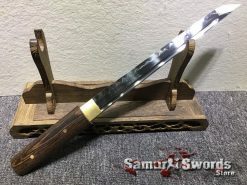 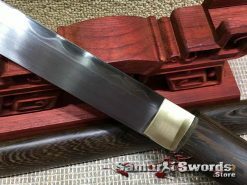 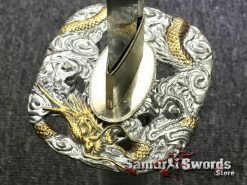 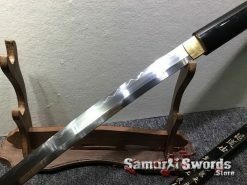 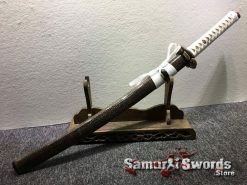 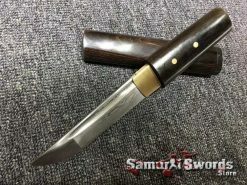 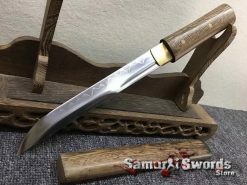 It is also considered as a Japanese concealed weapon but was basically created for a blade that would not be utilized for a certain period of time. 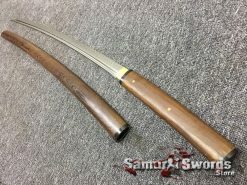 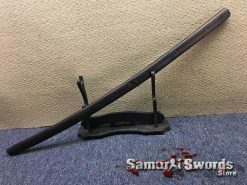 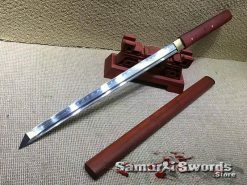 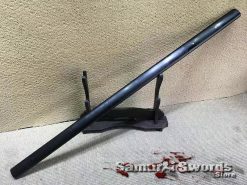 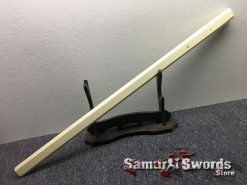 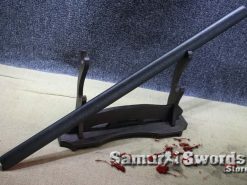 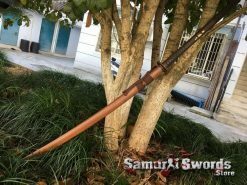 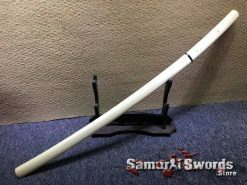 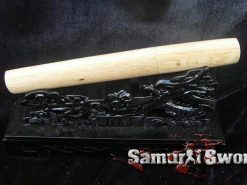 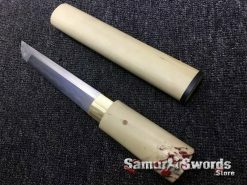 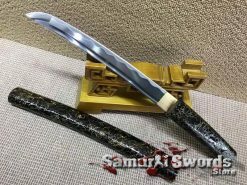 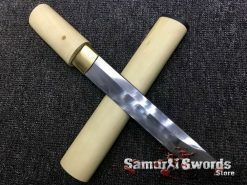 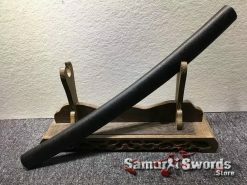 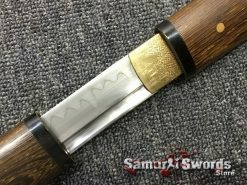 Externally, the Shirasaya was basically featureless except for the mekugi ana which was necessary to secure the sword’s nakago. 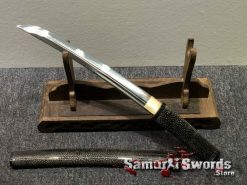 Although the Shirasaya was said to be plain, its simplicity and elegance had become visually appealing thus,this sword is loved by many collectors.